So I’ve been meaning to post an entry about my skincare regime for a while now but didn’t find the time to snap some pictures.. and now that I’ve got a giveaway for my readers, it’s time to share what skincare products I use to maintain my complexion! As most of you may know, I work as brand ambassador for various roadshow and campaign activation events. 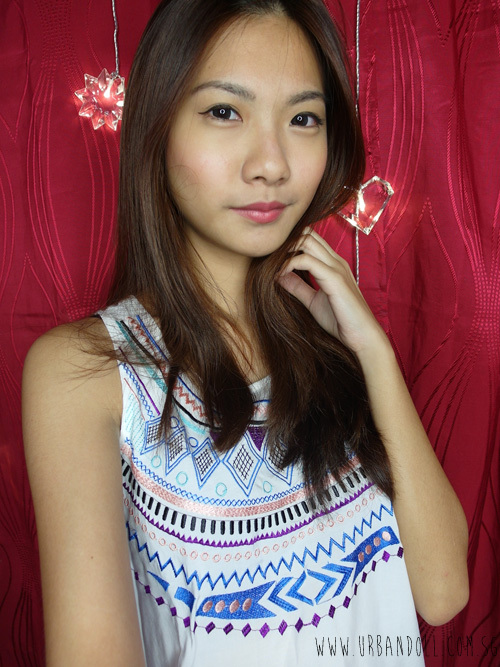 A lot of times we need to look exactly like how we do in our comp-cards, pretty and with good skin complexion without photoshop. Hence, my face is really really important to me, my skin complexion included! While working, I’ve met quite a few working buddies who came to me and asked me what I used for my face as they noticed that I rarely have bumps or zits on my face. 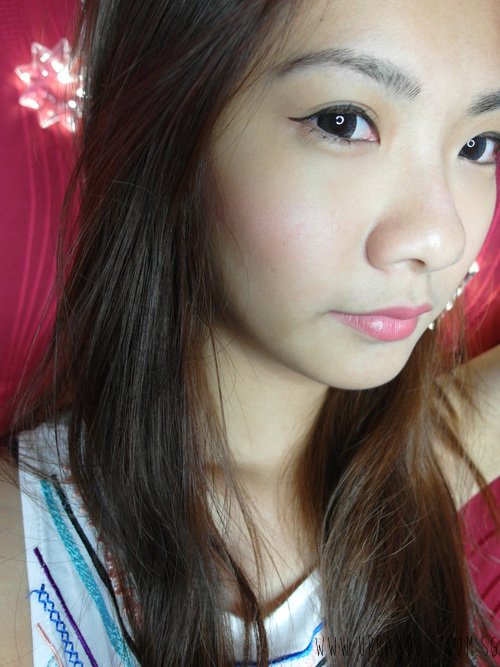 I’ve also talked to some girls who have flawless complexion to check out what products they’ve been using. And it turns out that we are all using SK-II!!!! Haha what a coincidence right! Well, I’ve been using SK-II for more than 4 months now and the results have been nothing short of amazing. I was sponsored with the products in June and I brought them to Europe with me hehe, and if you noticed, I didn’t have any outbreak in Europe despite the harsh weather conditions. I usually use SK-II with a combination of other products, that I will share in a later post since this entry is solely dedicated to SK-II. 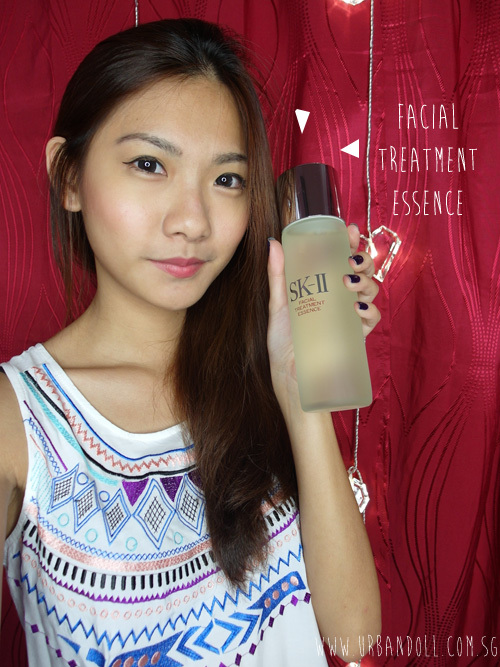 One of the two main products that I’ve been using from SK-II is the Facial Treatment Essence, aka Miracle lotion. 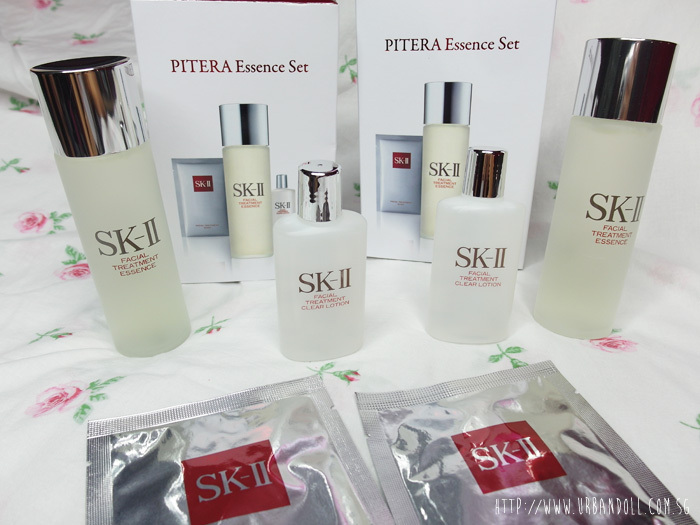 神奇水，真的神奇！Most of SK-II products contain their award winning Pitera. Pitera is essentially arrived from yeast. If you haven’t heard of the PITERA story, then… a group of scientists noticed that the old workers of a brewery had wrinkly skin but extremely soft and smooth hands. So the scientists discovered that it was due to the yeast that the workers were in constant contact with. The results after just one time of applying the FTE were noticeable. 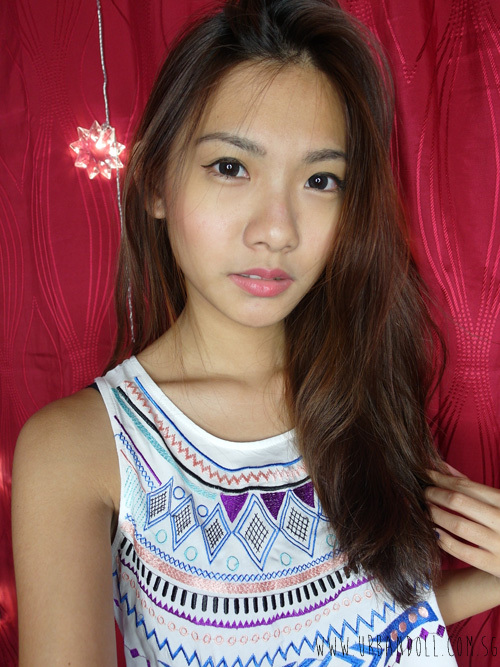 I noticed my pores became a lot less visible and hence my skin became smoother. Just a slight thing to note about the FTE is that it doesn’t come with fragrance (which is good for people with sensitive nose like me!) but it does smell a little bit like.. saliva? HAHAH. 2) the way I do it is to pour the lotion onto a cotton pad. I think it’s less messier this way. And then dap the cotton pad on your face, focusing on area like the T-zone and cheeks. Please don’t forget your neck as well. No major problem on my face except the lack of lip colour. The FTE is light and fragrance free. I’ve read somewhere that it stings on some people’s faces, but it doesn’t for me. It is a rich moisturiser that has the texture of a jelly and cream combination. This is my first tub and it looks as good as new can you believe it! It comes with a spatula as well. I don’t practise double dipping my dirty fingers into the tub as I’m afraid any germs on my fingers might contaminate my precious face cream. I’ll transfer the cream from the spatula onto the back of my hand. Will always start off my placing some cream on my forehead and cheeks, and then patting it into my skin for absorption later. It gives me a great moisturising boost since I have dry skin and I am usually in air conditioned areas (9am-5pm office job + I sleep with air con at night). I would advise those with oily skin just to use a small amount of this moisturiser as it is slightly richer than normal moisturising cream. So yes, these are the most 2 important products of my skincare regime from SK-II! 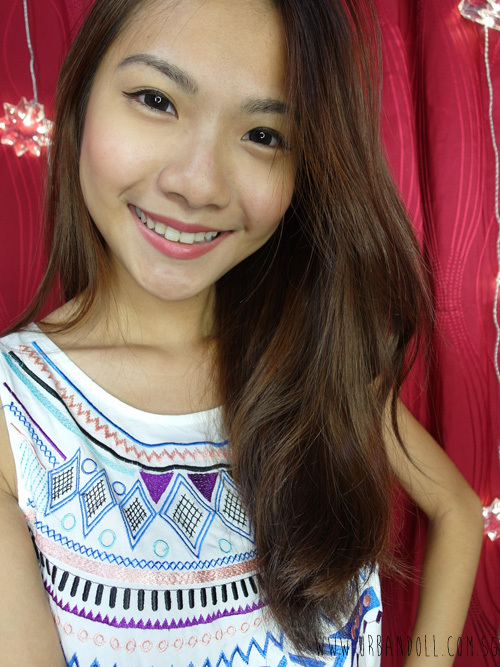 And since I haven’t been updating, let me spam some pictures of myself first before sharing the GIVEAWAY!!! My hair is getting long again! I am giving away 2 Pitera Essence sets worth at least $200!! Yes, 2 lucky readers will be able to indulge in their SK-II fantasy hehehe. The Pitera Essence Set includes the Facial Treatment Essence, Facial Treatment Clear Lotion and Facial Treatment Mask. Deadline is on 30th of November, so like and share away!! o Witness the first ever lighting up of the SK-II Christmas Tree, a star-studded affair featuring Godfrey Gao, George Young, Sheila Sim and Eunice Olsen on Thursday, 14th November from 7:30 pm onwards. Get to meet the gorgeous Sheila Sim in person tomorrow! o Be inspired by “Champions of Empowerment” films co-created by SK-II with WomenTalkTV, available from 14th – 21st November. Liked and will be sharing this post on my facebook too. cheers.